All smart communicators know, conversational hypnosis – when used correctly, and in the right ways, is your magic key that brings out the “hidden hero” in other people. Conversational hypnosis also turns you into that person who is able to impart a fantastic energy to anything that people around you want to undertake. That is a quality and value beyond assessing. People will always gravitate to and reward people who can bring out the best in them. It (conversational hypnosis) gives people the feeling that whatever the everyday color of life might be, it could – with your involvement or your enablement – be brightened and transformed in ways that make life both uplifting and worthwhile once again. We all want to meet and be around someone like that, don’t we? Someone who invites our involvement and gets us to feel good about what we’ve achieved, someone who notices something in us that we’ve never noticed before, lets us discover it anew ourselves and then brings out in us a renewed perspective of just what we’re capable of. Well, conversational hypnosis allows you to “show up” in just that way to other people. If you’ve been in a subscriber or customer of the Hypnosis Training Academy for any length of time you will undoubtedly know more about conversational hypnosis than most. So why this new training? Well, over the past 18 years that I’ve been actively involved in teaching and training people in conversational hypnosis – I’ve received thousands of questions and requests for help from different individuals about specific instances where conversational hypnosis has not quite gone as smoothly as they had hoped. Sometimes the answer to those questions has been obvious and straightforward. As in, the person who thought they were using conversational hypnosis was not in fact actually using the techniques or language structure in the correct manner. 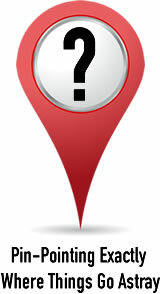 Those instances (around 10% of the questions or requests for help) are easy to diagnose and give assistance to. The other 90% or so of the requests for help have not been quite so straightforward to diagnose or offer specific assistance to. So, that has always put a limit on how specific I can be to someone who has requested help around an instance where conversational hypnosis didn’t quite work for them as they would have liked. But, lately something has changed that to a certain degree. 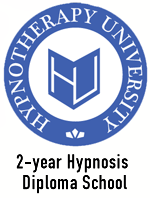 As you may be aware, the Hypnosis Training Academy is running a 2-year Hypnosis Diploma School where we currently have around 100 people enrolled. I mention that because, one of the main components of the 2-year Hypnosis Diploma School focuses on applying conversational hypnosis in different situations. And since the structure of the Hypnosis Diploma School involves a lot of dialogue between all members and tutors, and because we are all practicing conversational hypnosis daily among ourselves in very practical ways — it has allowed me to “be there” when people are using conversational hypnosis. 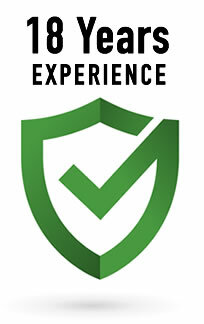 It has also allowed me to witness in real-time the conversations unfold and troubleshoot problems as they arise, as well as mitigate potential problems before they come up. In other words, I’ve been able to gain much greater insight into where and how conversational hypnosis is being inadvertently diminished by the very people who are eager to gain the most from it. These new insights I’ve had on how to apply conversational hypnosis in the real world need to be shared with the Academy! Also, the practical purpose of the new Applied Conversational Hypnosis live training certification will be for me to completely “map out” and demonstrate the critical factors and essential pre-factors of doing engaging and effective conversational hypnosis. Guess what I’ve noticed over the years? And guess what my “close up” observations from the conversational hypnosis practice sessions in the 2-year Diploma School confirm? Where the vast majority of cases fall apart (either right away or at some point further along in the conversation) is in the set-up phases of conversational hypnosis. Day 1 of the new Applied Conversational Hypnosis live training certification will be dedicated to the essential set-up phases you have to go through with someone in order to create the right “environment” (or right context) for conversational hypnosis to “take hold” and lead to the results you want. Granted, if you already have a good relationship with someone you can move through the essential set-up phases very fast and get into using conversational hypnosis very quickly. 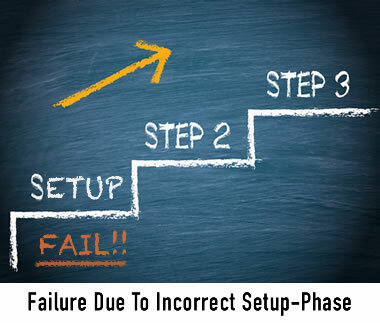 But… you do still have to go through those essential set-up phases. In instances where you don’t already have a pre-existing relationship with the person you are wanting to use conversational hypnosis with – it’s even more essential (critical) to first go through (and spend more time on) the set-up phases. So either way, whether you have an existing solid relationship with someone or if you don’t, you still need to go through the set-up phases to doing conversational hypnosis. The only “variable” is how much time you have to spend developing and nurturing the set-up phases. Again, the biggest mistake I see people making with conversational hypnosis is they try to go from a standing start (i.e., just meeting a person) to doing “full-blown” conversational hypnosis. And you can’t just go into deep conversational hypnosis without first going through the set-up phases in the right order and to the required depth. Doesn’t matter how technically brilliant or practiced you are as a deep diver – you are going to go SPLAT! 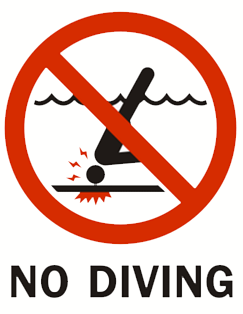 if you dive into shallow water. So think of the set-up phases as moving from shallow water into deeper water where you can start “diving in” with the more powerful tools and techniques of conversational hypnosis. Talking of the powerful tools and techniques of conversational hypnosis – you obviously do need to be very good at using them and very aware of when and how to use them to best effect. Day 2 (of the live 5-day training) will focus in on the best tools and techniques to use in conversational hypnosis along with demonstrations of them for different intended purposes. The Conversational Revivification Technique (CRT) for tapping into and recruiting overlooked resources inside a person. The Future Memory Technique for creating a future memory in someone that gives them a very real sense of a renewed and better destiny. It “programs” their unconscious to default towards that better future experience. Think of it as a way of formatting someone’s unconscious mind to make it easier for them to achieve something meaningful and significant. Pre-Identity and changing someone’s identity concept so they feel newly empowered and willing to do things that they felt, up until this point, were beyond them. Naturally, all tools, techniques (including those listed above) will be fully explained and more importantly demonstrated (in a strategic best-use way) on day 2 of the live training. Day 3 of the live training is on using Conversational Hypnosis for doing transformation or change-work. If you are a coach or a hypnotherapist in any capacity then day 3 will bring together all the aspects of conversational hypnosis for facilitating profound transformation and change-work in other people. Even if you’re not a coach or therapist of any kind, day 3 will still be extremely valuable and insightful because you will get to see, learn and practice conversational hypnosis (and other associated hypnotic models – like the Hero Fuel Method, the PCAT model and the GROW model) in ways that will really open your eyes to the possibilities and true potential of conversational hypnosis. And who knows when you will want to use some of the transformation and change-work conversational hypnosis models for the highest good with a friend or family member. And that’s skill and flexibility that you will always have available to you. Day 4 will be dedicated to using conversational hypnosis in such a way that it inspires people to want to be helped by you and, if appropriate, want to work with you. You know, years ago when I first started in my private hypnotherapy practice I was too eager to prove what I could do for people. Well, all I managed to prove was that my style of communication was pushing people away. What was interesting to notice was when I switched to using more of a conversational hypnosis style of communication the opposite happened – people welcomed the chance to work with me. The only thing that changed was my style of communication. Likewise, when I moved into Executive Coaching for Fortune 500 companies I got to test conversational hypnosis in that no-nonsense arena too – and again, I noticed people were drawn to work with me. Even though I did no traditional selling, explaining or presentation work. What I’m getting at here is conversational hypnosis solves a big problem for anyone who is uncomfortable with traditional sales methodologies. Conversational hypnosis is also perfect for you if you have trouble articulating what you do (or the value you provide) in a way that others feel motivated enough to want to work with you. Perfect for you if you don’t like being put on the spot or feel uncomfortable having to explain your value to other people. What about the final day of the live training on the Applied Conversational Hypnosis seminar? Day 5 will be a general “wrap up” day on all the previous 4 days, sorting out any loose-ends as well as addressing any unanswered questions you may have. Day 5 will also be the day you get a chance to demonstrate your newly developed understanding and execution of all the conversational hypnosis phases you will have learnt and had a chance to practice at various points throughout the live training. As well as the certificate, you will leave the training with a deep understanding and awareness of how and when to use conversational hypnosis for best effect. You will also have a mastery of applying the specific conversational hypnosis tools and techniques for successful outcomes in every kind of day-to-day encounter you experience. It sure will make everything a lot easier in the future for you!